PHOENIX – October in Phoenix means two things: a reprieve from the blazing heat of summer and Halloween. Gone are the days of sheets with holes in them and vintage plastic masks and smocks. Halloween is growing: The costumes are more involved. The haunted houses are scarier. The decorations are more elaborate. The parties are bigger. That means people are spending more. In a recent survey conducted by the National Retail Federation, analysts estimated that Americans will spend about $8.4 billion in Halloween-related purchases this year. The survey estimates the average consumer will spend about $83. Taking into account the estimated population of about 1.56 million residents in the city of Phoenix, according to the U.S. Census Bureau, residents have the potential to spend about $130 million. At the bustling R Salon in the Biltmore area in central Phoenix, Suzie Deadmond offers clients more than just the typical hair and makeup services. The stylist said during the Halloween season, her seat gets filled with people who want to make their costume ideas a reality. “Halloween has been the busiest time for me – always – because I have built up a reputation for fun costumes and ideas,” Deadmond said. 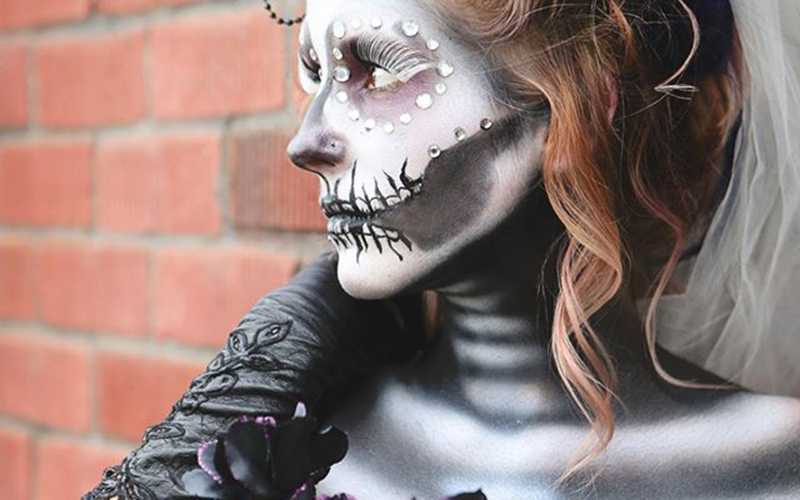 Deadmond offers clients options for hair, traditional makeup, airbrush, body painting, special effects makeup and costume creation. The materials she acquires can be expensive. It’s not just costumes and makeup that makes people break out their credit cards. A lot of consumers throw elaborate parties and build their own haunted houses. The couple start their preparations about a month in advance. As part of their routine, they gather their friends to sort through and categorize their inventory before they commit to making any other purchases. A small gate on the side of their home leads to a dog run, which they convert into a haunted maze leading to their backyard party. On average, more than a hundred people show up every year. Bullis said she expects to spend less than in previous years thanks to sites like Pinterest. Bullis jokes that with all the things they own, they could start their own professional haunted house. The Los Angeles Times reported that smaller haunted attractions have suffered because of an increase in regulations and insurance costs. Larger haunted attractions like 13th Floor Entertainment Group, Fear Farm’s parent company, grossed $7.5 million last year with expectations as high as $10 million for this year, according to Forbes magazine. 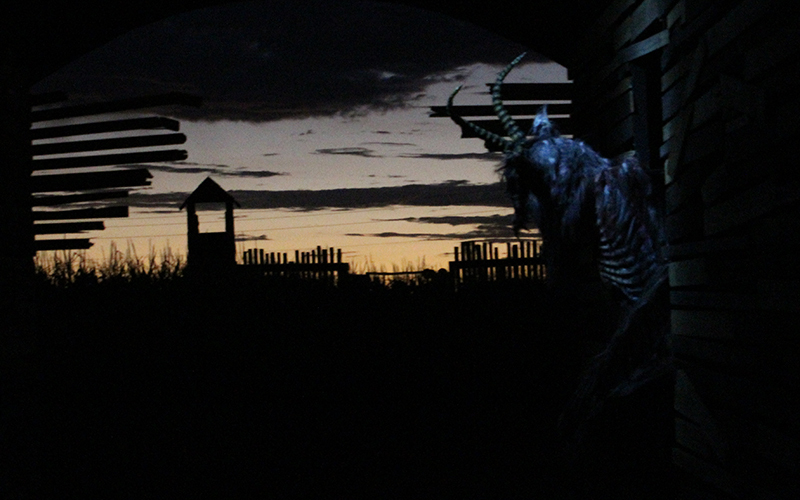 At Fear Farm in the West Valley, director Zach Busse declined to provide revenue information about the attraction, but said they see between 2,000 to 6,000 people per night. With general admission tickets starting at $26.99, they can bring in up to $162,000 per night. That isn’t including upgrades for fast passes, skip the line tickets or hayride admissions, and the figure doesn’t reflect expenses on their part. Halloween has come a long way from ancient Celtic festival. The National Retail Federation estimates that more than 171 million people will participate in Halloween-related activities this year.